Concept Of Travel Or Studying Languages. 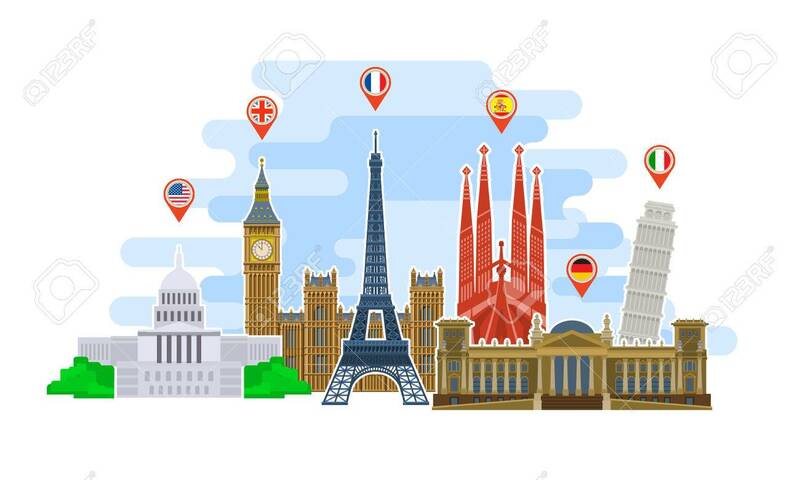 Landmarks In Flat Style... Royalty Free Cliparts, Vectors, And Stock Illustration. Image 58205264. Vector - Concept of travel or studying languages. Landmarks in flat style. Time to travel in the world. Flat design, vector illustration. Concept of travel or studying languages. Landmarks in flat style. Time to travel in the world. Flat design, vector illustration.